The News: Fourth of July, what are you planning to do? Fourth of July, what are you planning to do? 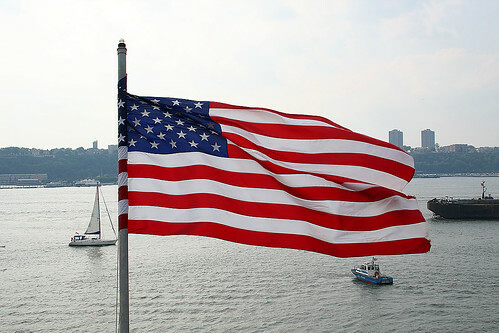 Hi all, just a short post today to wish you a great Fourth of July! Last year I got together with a friend and watched the fireworks from the FDR and 34th? Street. This year I'm going to a Yankees Game, and might go down to Brooklyn to photograph the fireworks with the City in the background. We'll see. Here are a few links for those of you who have yet to make plans. About.com gives concise advice on where to see the fireworks, the hot dog eating contest, or take a cruise. And for those of you with kids, the NY Historical Society is having a little shindig for kids. Just a short post for today, Grandma Bitter (age 85) had a heart attack yesterday afternoon and was rushed into surgery to have a stent put in, she is doing much better now. She lives out West and fortunately has lots of family nearby, so both she and Grandpa Bitter are being looked after. I'll be using up my lunch break today to call her, so I most likely won't be checking in with you all later. And since I'm taking tomorrow off, I'll see you on the 5th. Hope you have a great Fourth, and I'll report back on Thursday with photos from the game. Sorry to hear about your grandma. I hope she makes a speedy recovery. Are you able to get around on public trans? I'm happy to hear your grandma is doing well...and that she has lots of support! "I'll write again on the 5th." Lies!!!! Where is the next blog???? ?